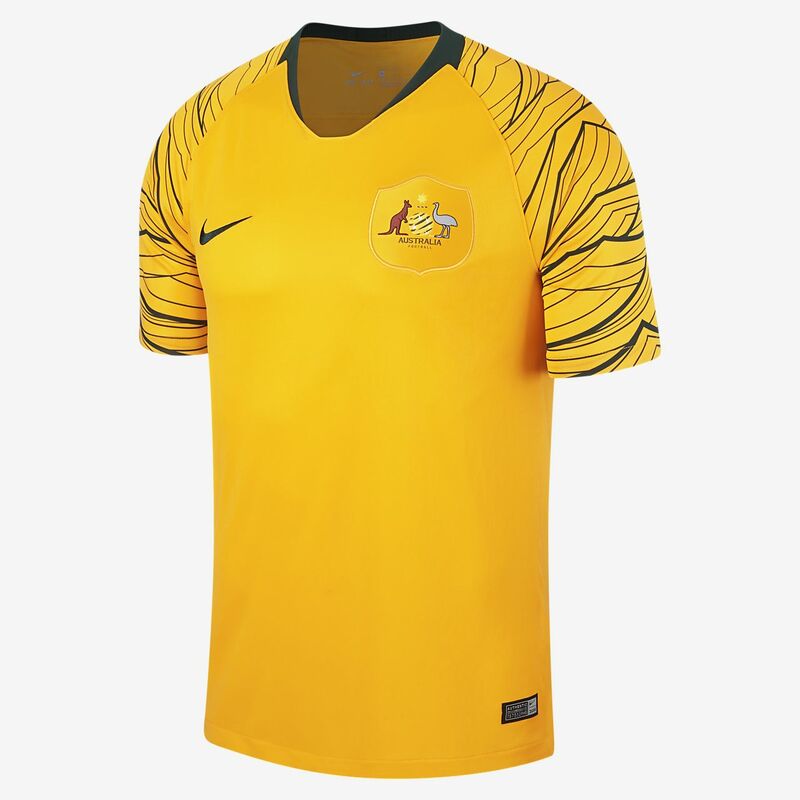 The 2018 Australia Stadium Home Men's Football Shirt is made from breathable, sweat-wicking fabric to help keep you cool, dry and comfortable on and off the pitch. The 2018 Australia Stadium Home Men&apos;s Football Shirt is made from breathable, sweat-wicking fabric to help keep you cool, dry and comfortable on and off the pitch. Have your say. Be the first to review the 2018 Australia Stadium Home.